December 14, 1991 reunion. 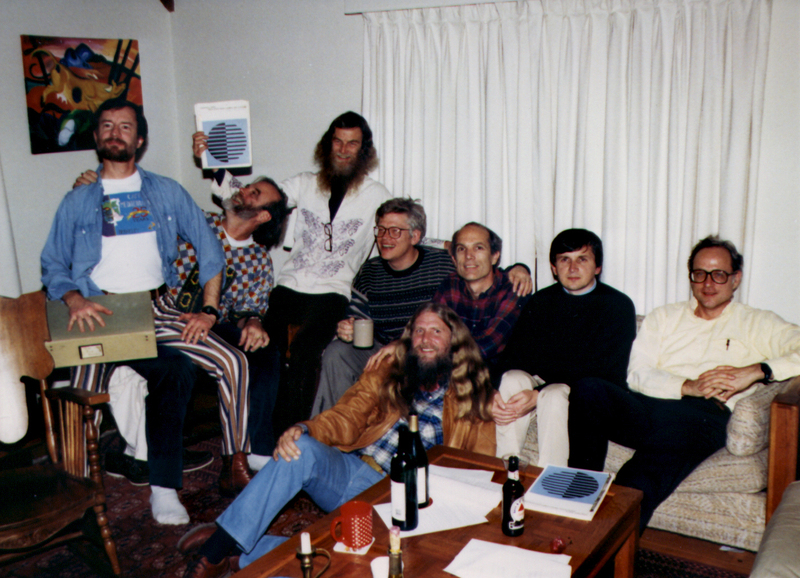 Left to right: Redell, Gray, Vaughan, McDaniel, Lindsay, McJones, Simonyi, Lampson. TSS design notes, documentation, etc. "A basic time sharing system"
1 TSS design notes, documentation, etc. 1.i "A basic time sharing system"
The first documents, by Howard Sturgis, take up various aspects of a time-sharing system (including process scheduling, a disk-based file system, low-speed terminal i/o, and capabilities), but don't mention subprocesses and (multilevel) operations. Was Howard working alone, or with Butler? I believe there must have been more design memos written by Howard and perhaps others. When did the idea of multilevel operations emerge? When was the "two-teletype demo"? A report ([GLLS72]) and several papers ([Lam69] and [LS76]) were eventually published. CalTSS ran on a standard Control Data Corporation (CDC) 6400 with Extended Core Storage (ECS) and the Central Processor Monitor features (Monitor Address Register, Monitor Flag Bit, and Monitor and Central Exchange Jump instructions). It used CDC controllers and peripherals for disk, tape, card reader, and printers, but used a locally-developed terminal multiplexor.